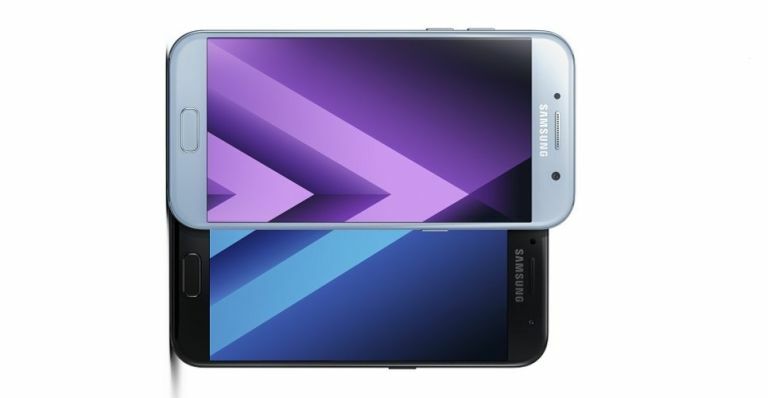 With CES a mere few days away, Samsung is kicking off 2017 with the reveal of a new range of smartphones designed to plug that gap before the rumoured arrival of the Galaxy S8 later in the year. The Galaxy A range, which includes the Galaxy A5 2017 and Galaxy A3 2017, bring IP68 water and dust resistant proofing to the mix along with a raft of other attractive features. While the Galaxy A range certainly won't be taking over as Samsung's flagship models, they're still packing plenty of punch. The A5 2017 (pictured above) is the larger of the two with a 5.2-inch screen, while the A3 2017 (pictured below) comes with a slightly smaller 4.7-inch display. Both models come with Samsung's Fast Charging tech, meaning either of the new Galaxy A smartphones can be charged up to 50% in a mere 30 minutes - pretty impressive if you're looking to fill your phone with juice in a hurry. Both come with reversible Type-C USB, Always On Displays for helpful notifications that don't train too much power and microSD support up to 256GB. No news yet on a release date, or a final price point, but Samsung has confirmed pre-orders for the Galaxy A range will begin on 20 January.